The story of the hero with a bow who steals from the rich and gives to the poor, "Robin Hood," gets a new take. "Robin Hood" on Digital now and available on 4K Ultra HD™ Combo Pack, Blu-ray™ Combo Pack, and DVD on February 19 from Lionsgate®. But, ThisFunktional readers have an opportunity to get their copy for free. 1 - copy of "Robin Hood." To enter you must be subscribed to my YouTube channel: Thisfunktional and follow instagram.com/Thisfunktional and email me your full name and mailing address with the subject line #ThisfunktionalContest #RobinHood to Thisfunktional@Gmail.com. Disclaimer: Winners will be chosen randomly. Contest runs to February 25 2019 at noon. No purchase necessary. Prize provided by MPRM Communications. Only open to the U.S., no PO Boxes or international addresses. Only one entry per household. Entries on behalf of another person will not be accepted and joint submissions are not allowed. We will not accept entries of contestants who have claimed a prize in the last 6 months. The action-packed epic adventure "Robin Hood" on Digital now and on 4K Ultra HD™ Combo Pack (plus Blu-ray and Digital), Blu-ray™ Combo Pack (plus DVD and Digital), DVD, and On Demand February 19 from Lionsgate. 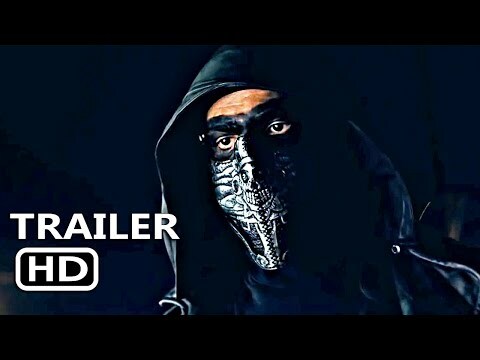 Directed by BAFTA Award Winner Otto Bathurst (2014, Television Craft – Director – Fiction,“Peaky Blinders”), this rich story is brought to life for today’s audiences using stunning special effects, thrilling battle sequences and mind-blowing fight choreography. "Robin Hood" stars Taron Egerton (Kingsman franchise, Sing, Upcoming: Rocketman), Jamie Foxx (Django Unchained, Law Abiding Citizen, Ray), Ben Mendelsohn (Rogue One: A Star Wars Story, The Dark Knight Rises, Ready Player One), Eve Hewson (Bridge of Spies, Blood Ties,Enough Said) and Jamie Dornan (Fifty Shades franchise, The Fall, Anthropoid). Returning home from the Crusades, Robin of Loxley (Egerton) finds his country oppressed by the evil Sheriff of Nottingham (Mendelsohn). With the help of Moorish warrior Little John (Foxx), Robin transforms into the heroic outlaw Robin Hood, taking up arms to fight the sheriff and win the heart of his love, Maid Marian (Hewson). The "Robin Hood" special features include an in-depth, never-before-seen, 7-part documentary; multiple outtakes; and deleted scenes, all of which show what it took to put a new spin on everyone’s favorite hooded hero. Experience four times the resolution of full HD with the 4K Ultra HD Combo Pack, which includes Dolby Vision® HDR, bringing entertainment to life through ultravivid picture quality. When compared to a standard picture, Dolby Vision can deliver spectacular colors never before seen on-screen, highlights that are up to 40 times brighter, and blacks that are 10 times darker. The 4K Ultra HD Combo Pack also features new HDR10+ technology, making for an enhanced viewing experience on next generation displays by using dynamic tone mapping to reflect frame by frame variations in brightness, color, saturation, and contrast. Additionally, the 4K Ultra HD Combo Pack and Blu-ray feature Dolby Atmos® audio mixed specifically for the home, to place and move audio anywhere in the room, including overhead. 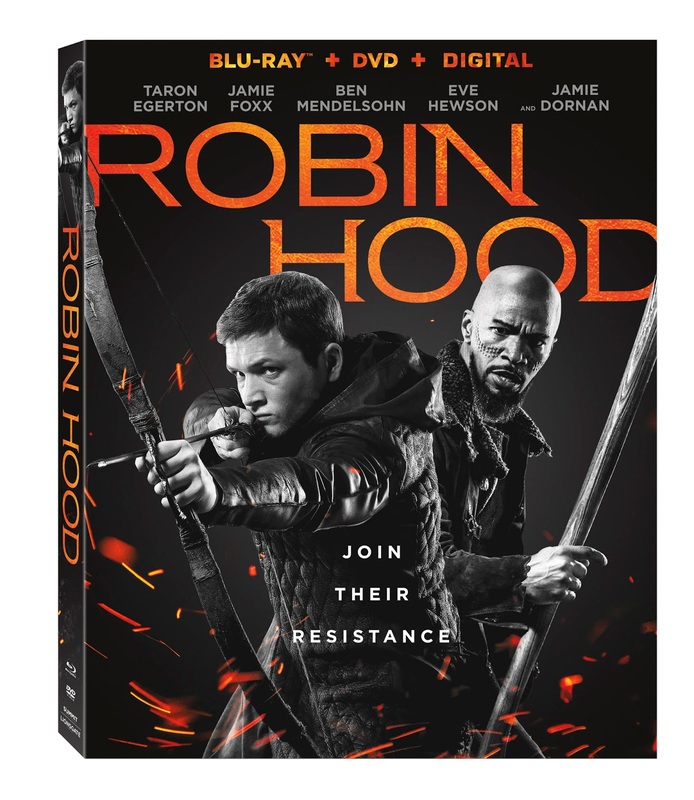 The Robin Hood 4K Ultra HD Combo Pack, Blu-ray Combo Pack, and DVD will be available for the suggested retail price of $42.99, $39.99, and $29.95, respectively.